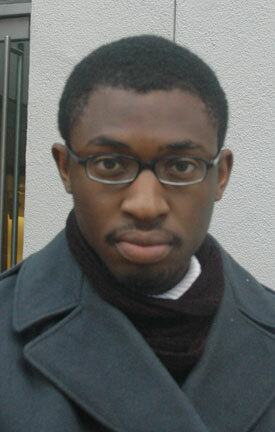 UZODINMA Iweala is the son of Ngozi Okonjo-Iweala, managing director of the World Bank for Africa, Middle East and Europe. She was also the country’s Finance and Foreign minister in the administration of Chief Olusegun Obasanjo. Uzodinma chooses to be focused, while proving that he is relevant to the modern Nigerian literature. In fact, he is one of the new and young Nigerian writers that have helped generate positive interest in Nigerian literature on the global scene. IN 2005, Uzodinma published a novel, Beast of No Nation, the story of a child soldier. Written in ‘sub-standard’ English, it has generated countless debates on whether it is pidgin or some fanciful creation of the writer. NOW that the excitement of publishing his first book Beast of No Nation which took him a year to write, has simmered, Uzodinma is working on a new project, which he’ll not discuss, other than it being on HIV. Uzodinma is a graduate of Havard University, and he is back in school to study medicine. Mindful of the wide gulf between medicine and writing, he intends to handle the two professions, ‘carefully’. Currently, he has found a way to adjust his time. He tries to wake up early, before classes, and do some writing for two or three hours. This seems possible, because of the connection with him and his writing, which he began writing since he was in primary three. “I think it’s incredible that there is a resurgence on the international scene of “Nigerian” fiction and writing.” It is not as if people have not been writing, rather it is simply a developed interest, and this excites him. Accepting that the African experience of oppression enters different phases. The writer has the job of informing and painting a picture he sees to his readers. In the present time, there is a stereotype of Africans as the suffering masses. WHILE Africa is dealing with its cultural and economic pigeonholing, Nigeria has gained reputation as one of the most corrupt countries in the world. Typically, being as passionate with everything he feels strongly about, Uzodinma acknowledges the ignominious treatment, which for him, is most blatant at Heathrow Airport, London. Like every young man there is energy to do it all, “I’m not an exception,” he says. Olajumoke Verissimo is a writer based in Lagos, Nigeria. She has published some of her works in various journals and books in Nigeria. She keeps writing.